Ever got out from bed with unruly morning hair, lots of frizz or random bits of hair sticking out in crazy directions? I don't know about you, but I sure have! I have naturally wavy (sometimes bordering messy) hair, so avoiding looking like my hair got struck by lightning is quite important to me. Casper, a new sleep startup which launched with comfortable mattresses asked me to share my tips and tricks to prevent bed head hair. I thought that was a cool idea, so here's what I do to fight bed head hair! This is honestly the best way to get rid or avoid bed head hair. Washing my hair in the morning means that I can then dry it however I want and style it however I want, and the crazy tangles and mess will be washed away in the shower. Unfortunately, I don't always have time to shower in the morning, but a shower at night is a must for me. I always make sure I blow my hair at least 85% dry before heading to bed, and I focus on drying the roots so that I do not wake up with one side of my hair completely flat and moulded to the shape of my head. Sometimes, I also have random strands of hair sticking out in crazy angles whenever I do not dry my hair thoroughly, so this step is super important! My hair tangles easily, and this is made worse when I sleep because I tend to toss and turn a lot. So I always make sure I brush my hair pre-bedtime. I especially like using my Tangle Teezer for this as it really helps get rid of any tangles but does not tug and snap my hair. Tangles are my hair's enemy, so hair oil is a must to help keep my hair smooth and to keep tangles at bay. Before I sleep, I use two to three drops of the Moroccanoil Treatment, warm up the oil in my palms and apply it to the ends of my hair. It smells really good and helps keep my hair frizz-free and pretty much tangle-free throughout the night till the next morning. As an alternative to Moroccanoil, I find that olive oil also does the trick. When I am feeling especially lazy and don't want to apply hair oil to the ends of my hair, I pile my hair up on to the top of my head and tie it very loosely into a high bun. I make sure the bun is high enough on my head so that I don't feel the bun when I lie down because the pressure from lying on the bun can give me a headache. I have tried sleeping on satin and silk pillowcases which do help to prevent the frizz and tangles which results in bed head hair. But if you're like me and you do not have any satin/silk pillowcases, it is best to have those pillowcases changed and washed often. Dirty pillowcases contain traces of hair products, dirt and bacteria, and all these are very likely to ensure that your hair is left looking not fresh and unkempt in the morning. I sometimes do this anyway if I feel like it but when I do have a crazy bout of bed head hair, I find that a conditioning leave-in spray or hair cream really does help fight it. My leave-in spray of choice is Schwarzkopf Extra Care Anti-Damage Ultimate Repair + Gloss Treatment because it is very lightweight and non-greasy yet really helps to tame stray hairs and make my hair look more sleek. If I need something more 'heavy', I turn to Herbal Essences Beautiful Ends Split End Protection Cream. It smells amazing and the cream helps to slightly weigh down my hair, keeping it in place but without leaving it feeling and looking greasy. As always, I only make sure to apply this to the ends of my hair. If my bed head hair just will not go away, I normally have no choice but to embrace it for the day and work with it! I like to do that by styling my hair. I flip my hair upside down, shake it out, scrunch my roots, comb my hair through and then proceed to either curling my hair or tying it up into a ponytail and finishing up the look with a spritz of hairspray to keep the hairstyle in place. So those are the things I do to prevent bed head hair! I hope you enjoyed reading it! Nice to know we do some common things and I'm on the right track to keeping my hair frizz-free! Yes, no one likes tangles! Thanks! The Morrocanoil is quite good - a little goes a long way! we're going to have to try some of these out. we're always battling stubborn baby hairs in the morning! Hope these tips help! I deal with baby hairs too so I know what it's like! I'm like you! 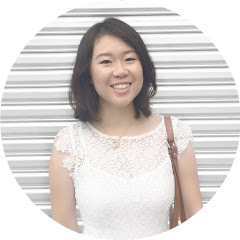 I wash my hair at night too because if I do that in the morning, I find it useless because my hair will be dirty again by the night so I prefer to wash it before I go to bed :D Thanks for sharing these tips! High five! Exactly right? I feel that my hair will be dirty at night so I just have to wash it at night. You're welcome! I use the same herbal essence ^^ I love the smell!! Thanks! Hope these tips help your hair stay frizz-free. I totally get how annoying it is! Ooh yes this herbal essence product smells amazing! Great tips, i am definitely gonna have try some of them out bed hair can be so annoying at times. Thanks! 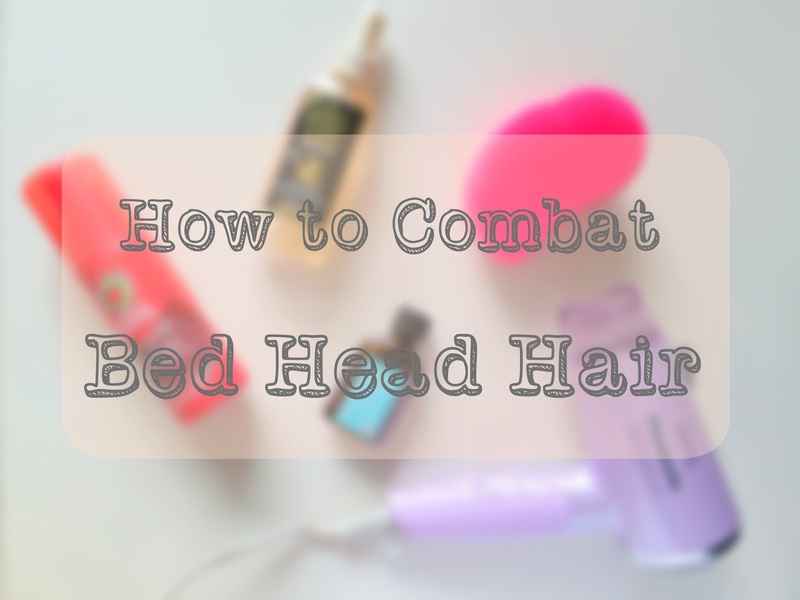 Hope these tips help you combat bed head hair! Yeah, bed hair can be annoying! !